We offer various of green computing solutions for Cloud Computing. 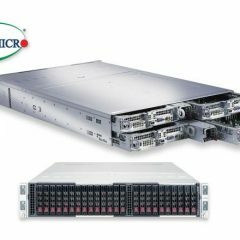 Versatile configurations such as Supermicro FatTwin, resource-optimized 1U and 2U servers or The Supermicro MicroCloud modular server system which provides 12/8 modular server nodes conveniently integrated into a short 29" and 23" chassis. 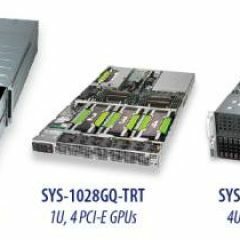 These hot-pluggable server nodes operate independently. 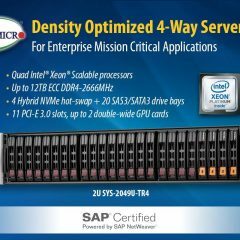 Each node is powered by an Intel® Xeon® or AMD Opteron™ processor and provides exceptional memory capacity, MicroLP card support, and up to 2x 3.5" SATA HDDs or 4x 2.5" SATA HDDs (12-Node model). The MicroCloud systems utilize redundant 1620W Platinum Level high-efficiency (94%+) power supplies and sophisticated cooling zone controls for a Green energy profile. 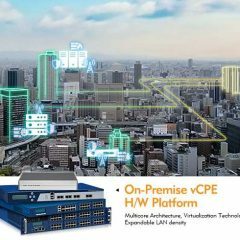 The Nodes provide easy access for efficient servicing, and the high density per node saves valuable data center space. 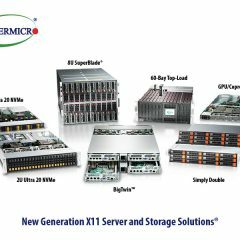 The Supermicro MicroCloud systems are optimized for cloud computing, data centers, web hosting, and virtualization environments.